Picking up the trail again…. and it’s the Fall of 1985. The company presented several short pieces; Blackbird, Oh Daddy, Sanitized for Your Protection, Holiday, and Got Religion. The company was comprised of myself, Leslie Addiego, Denise Chakerian, Gayle Kyhos, Andrea Needle, and Vera Tsai.In addition to our regular concert, we also gave our first lecture demonstration for elementary school children. I had thought that we started lecture demonstrations later, but just found one at the end of this performance video. Blackbird was set to the song of the same name, by the Beatles, and was not particularly remarkable… A lyrical piece in many ways, it was musical and aesthetically pleasing for the most part. 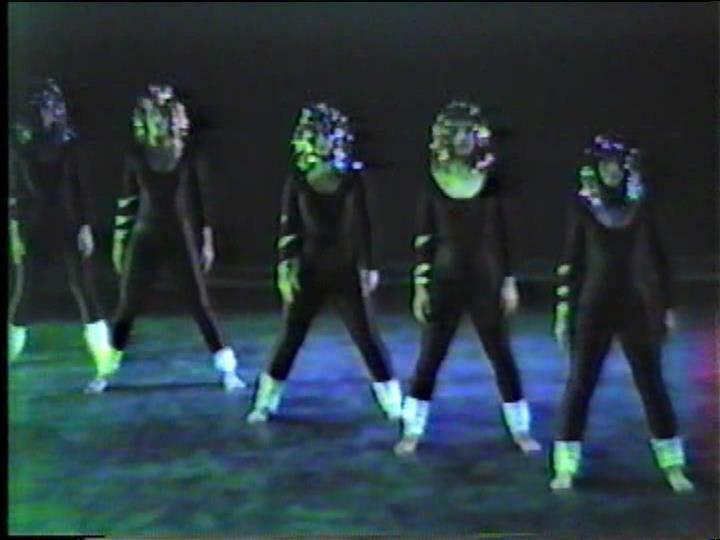 Looking back at the footage this many years later, I have to question why I organized the canon formation the way I did but, the dancers themselves did a lovely job. Why this music, why this dance? I loved the song and the shading of sadness and struggle that accompanied the lyrics. 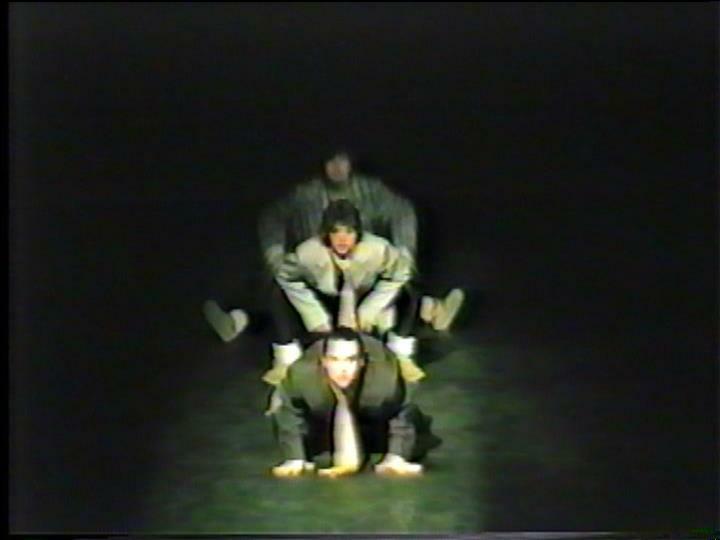 Oh Daddy was one of several pieces I was to choreograph over the years, influenced by my relationship with the father who had run away from home when I was 10… Set to music by Willie Nelson (My Heroes Have Always Been Cowboys) and Randy Newman (Sad Song) and combined with text that I had written and spoke aloud on stage, it was definitely one of the pieces that I would later refer to, jokingly, as my therapy. And, rudimentary though it was, it was also a testament to power of art as a tool for dealing with sorrow. Holiday was, like Blackbird, simply movement set to a piece of music that I loved. The George Winston music was introspective and almost a counterpoint to the title. I really liked its sadness… and hmmmm… that sounds like more therapy to me. Got Religion, in retrospect, was kind of an Alvin Ailey derivative / homage if you will. (I’m guessing that most artists, of a certain generation, may have one or two of these in their “closets”). It was set to music by Tina Turner and Mahalia Jackson and spoken work about my childhood desire to become a nun, which was an interesting goal for a non-Catholic to have. But, where I may not have been sure about my stance on the topic of God, I was very clear that the idea of wearing black, taking a vow of silence, and living in retreat from the world, was incredibly seductive. It was, in fact, my life goal at the age of 10… and we can see how that turned out! The most notable piece from the concert, I think, was Sanitized for Your Protection. 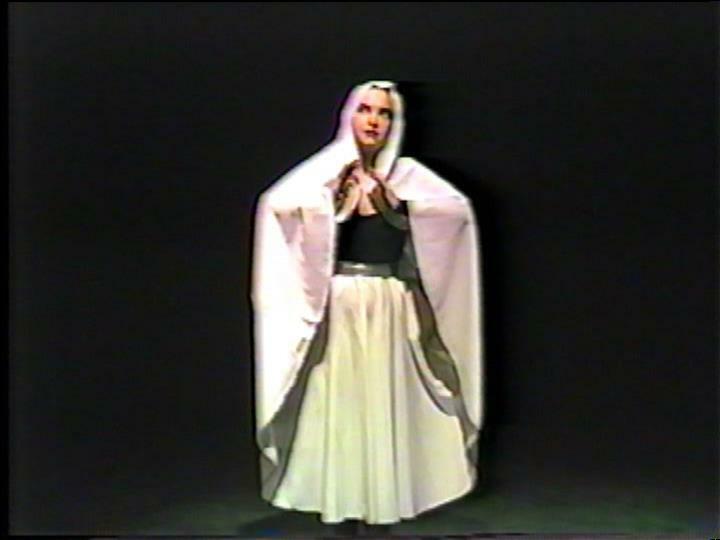 It was a dance in three sections and integrated a piece that I had brought with me from Rochester, New York, Moire. Moire was my first commissioned work, paid for by the Eastman School of Music, based in Rochester New York. Set to music by Reed Holmes, the Eastman School had commissioned it for their hosting of the 1983 Conference of Computer Musicians. 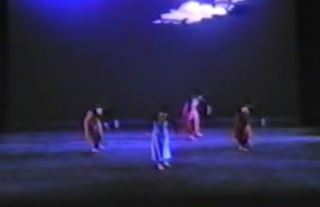 My Rochester company, Black Crow Flying, had premiered the work at the Eastman Opera House in 1983. In its west coast premiere, it was now placed between two Talking Heads pieces, Swamp and Once in a Lifetime. I liked the stark nature of the Holmes piece set between the idiosyncratic Talking Heads. Kind of an interesting side note… I’d always been interested in community outreach and taking dance into unusual places. Earlier companies that I had danced with, in Rochester, had not only performed at schools and street festivals, but also at both Attica and Elmira State Penitentiaries, so outreach was part of my experience. My own Rochester company had done the street festivals, shopping malls, grocery stores, and outside the Rochester Planetarium while people were waiting in lines. Continuing this tradition on the west coast seemed obvious, so we took several pieces including the Once in a Lifetime section of the dance to a senior living facility in Sacramento. Residents stayed after to speak with the dancers and were asking all kinds of questions about what the dances meant, when one white haired woman broke into the conversation with the declaration that Once in a Lifetime was all about men who couldn’t get dates with women. Thirty years later, I remember that clear as a bell. 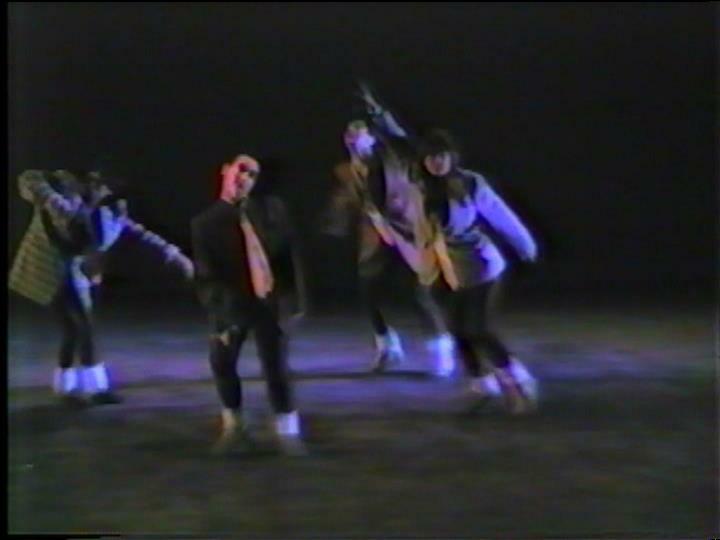 The Once in a Lifetime Section of Sanitized… “Men who can’t get dates” according to one audience member’s interpretation of the dance. Blackbird section with Leslie, Vera, Denise, and Gayle. Andrea in a solo section of Holiday.